Life can be exhausting. 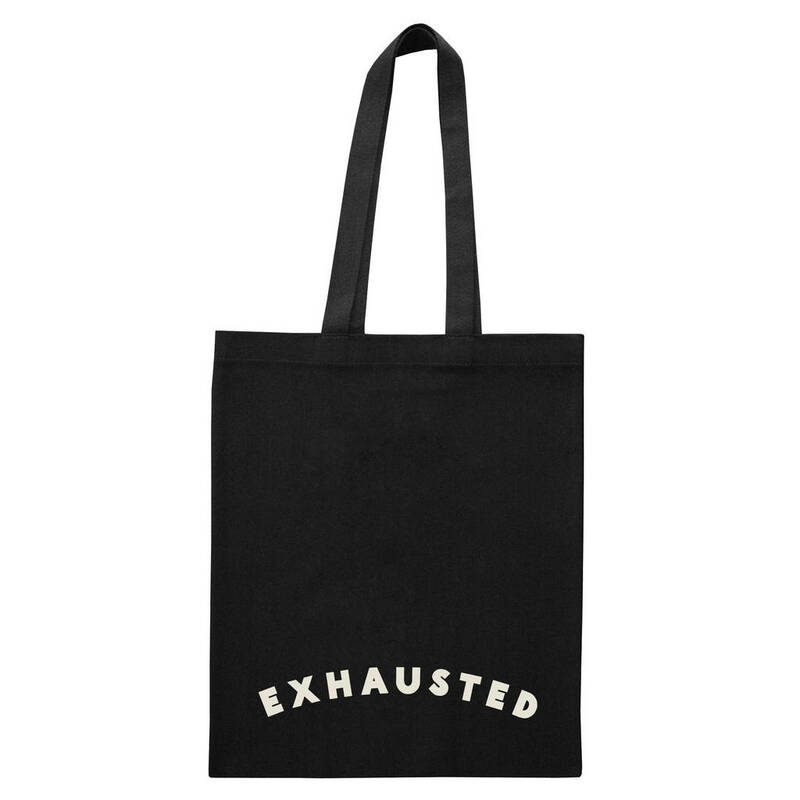 Don't be afraid to show how you feel with this to the point tote! 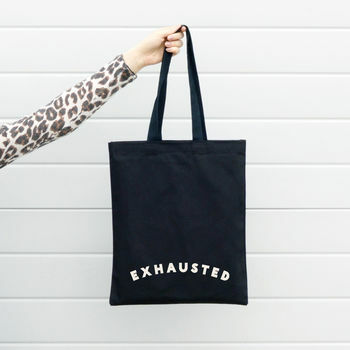 The hand drawn 'Exhausted' design has been printed in white on black cotton. Lovingly stitched and printed in the UK using terrific heavy weight cotton. 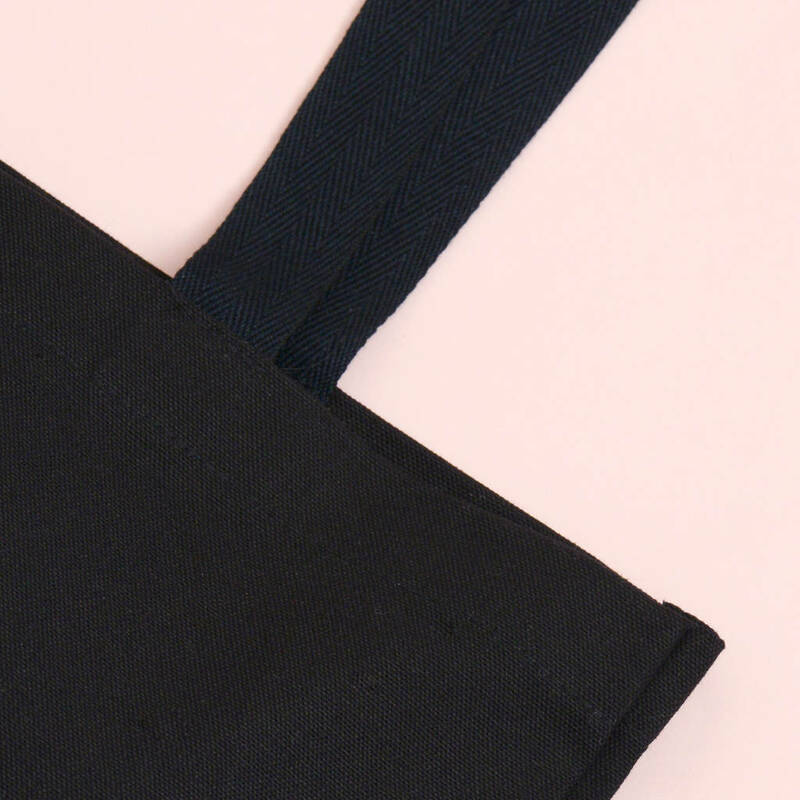 Our bags are designed and custom made in the UK with great care by lovely ladies and gentlemen. We only use the most terrific heavy weight cotton and all designs are screen printed by hand. 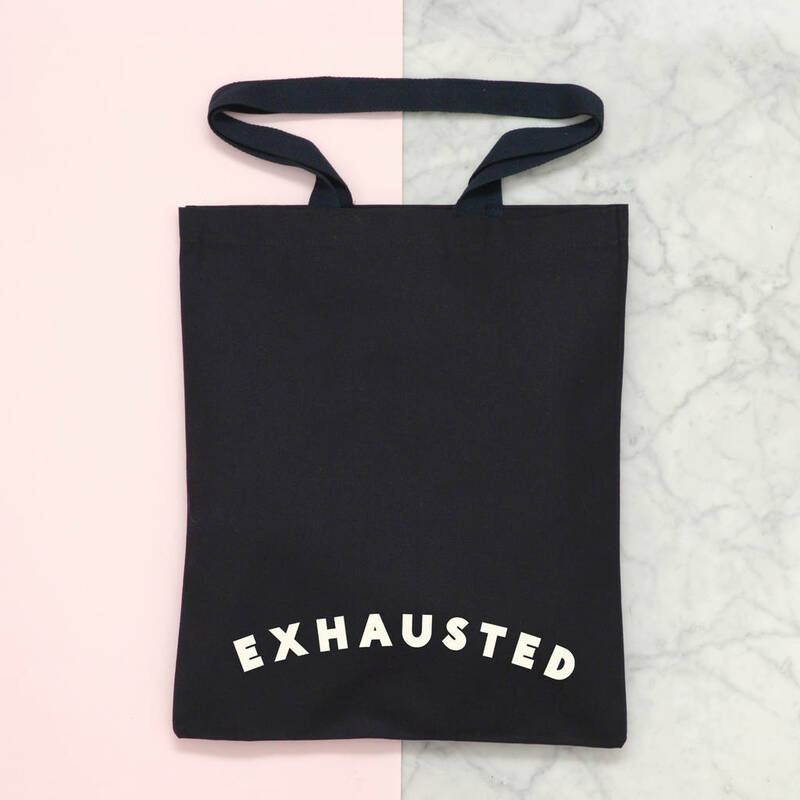 They are not your typical tote! 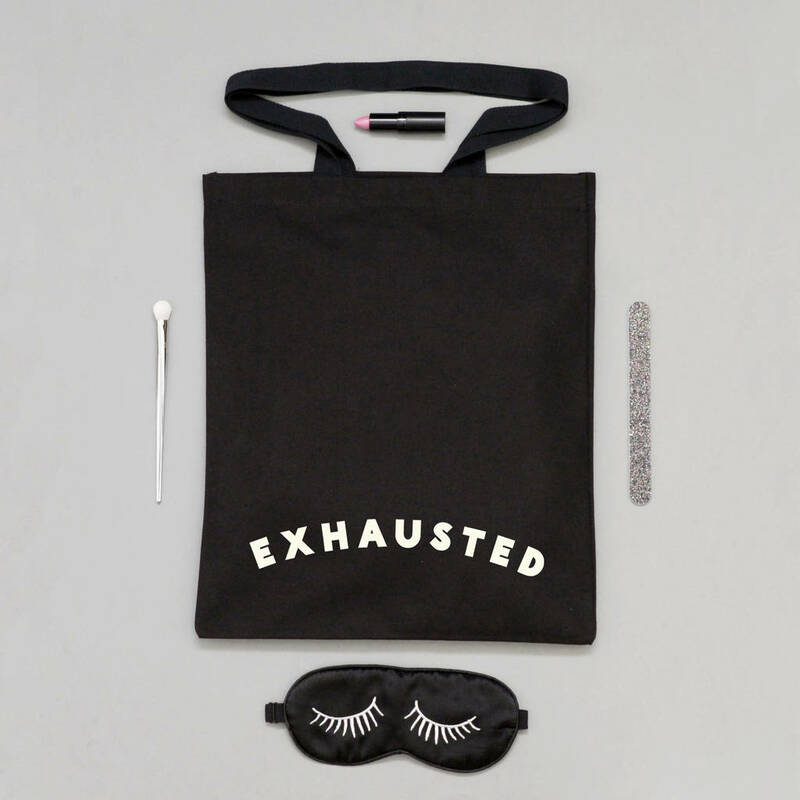 The perfect gift for new parents, sleepy students or anyone feeling a bit knackered! Made from 100% black cotton and screen printed by hand in white ink. Hand wash and do not iron printed area. This product is dispatched to you by Alphabet Bags.